Suzuki Baleno 1.0 Boosterjet SZ5 5dr 2019 Review | What Car? 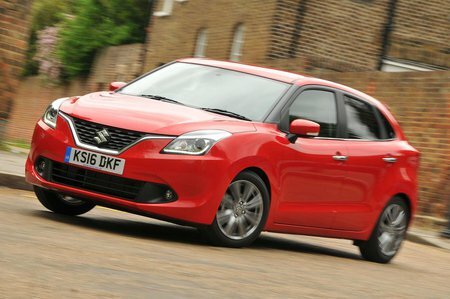 The Suzuki Baleno is not the cheapest or most premium feeling supermini, but it is frugal, well equipped and very spacious. This is the only engine available in entry-level SZ-T trim, not that this is a problem. There’s plenty of power, and that helps make the Baleno feel surprisingly brisk, yet it also proves economical when driven carefully. As with most three-cylinder engines, there are some vibrations through the controls, but this is no worse than in some of its rivals.